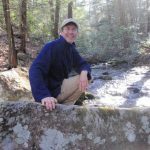 Andrew Zadnik has managed Western Pennsylvania Conservancy's Land Stewardship program since 2007. Previously, he worked as a biologist with the Virginia Dept. of Game and Fish. He holds a master's degree in wildlife and fisheries resources and a bachelor's degree in environmental science. Originally from Connecticut, he and his family live in McCandless, PA, just north of Pittsburgh.